Video on Demand – with downloadable recording and crystal charts. Video on Demand – with downloadable recording and crystal chart. 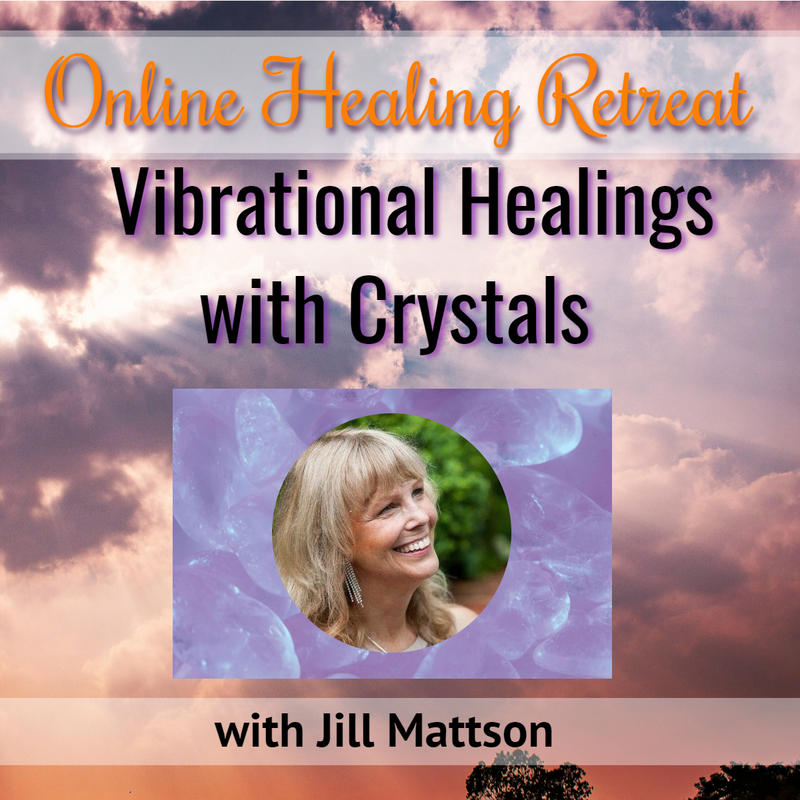 Vibrational Healing with Crystals Using Crystals to empower every aspect of your Life! One Hour Video, but you must stop the video to do the Exercises – Material from a half Day Workshop. Attachments included! You can watch this video online anytime for a long as you wish (it will always be available with the link you save to your desktop). Plus you can download it to your computer so you always have it to reference. My first conversation with Jill about her research into the powers of vibrations – sound and music was so awe-inspiring that I found myself practically floating on air — in the rarefied orbit of some unaccustomed altered state. Judy Stitt. I have attended many seminars around the country….I would say that the upcoming event with Jill Mattson is one that YOU SHOULD NOT MISS!!!!! Jill’s vivacious energy and DEEP KNOWLEDGE of vibrations, music, sound and light and how these elements affect our TOTAL BEING….coupled with Jill’s sensitive psychic nature; is presented in a lively, very informative, fun way…..she takes and includes ALL questions into her class never breaking stride………by far …THE BEST .. class I have been to EVER!!!!!!!! !……..Chuck Whicker, PHILA.